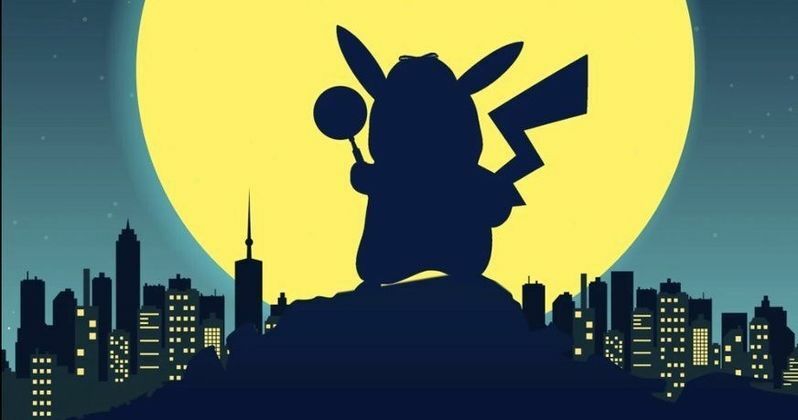 Is Detective Pikachu going to feature a secret villain? That appears to be the case, assuming a new rumor floating around is to be believed. The first trailer for this first ever live-action Pokemon movie was released back in November and it was jam-packed with Pokemon from a variety of different eras. It gave fans a lot to chew on, but it didn't reveal much in the way of a villain. If this rumor has any truth to it, the studio is keeping the movie's bad guy under wraps for good reason. Warning: potentially huge spoilers ahead for Detective Pikachu. Last chance to turn back. According to a new report, an anonymous source has confirmed that Mewtwo will indeed be the main villain in the movie. What's more, the report states that the movie will actually provide us with the legendary Pokemon's origin story, something that really hasn't been explored that much previously. Especially not in live-action. The report even goes so far as to say that this is largely Mewtwo's story. Mewtwo has been an important and very popular character since the earliest days of the franchise and he was even at the center of the first animated Pokemon movie. So his inclusion would be no small thing. However, the report also notes that Mewtwo won't be the only villain in Detective Pikachu. According to their source, the movie will also feature an unnamed human villain who will try to control Mewtwo. In the series, Mewtwo started out as a protagonist, but thanks to Team Rocket trying to control him, the Pokemon developed a hatred for humanity. Could it be a member of Team Rocket that winds up being this mystery human villain? That remains to be seen, but it's something worth considering. Either way, fans are going to see Mewtwo brought to life, if this holds true. We've also got a new poster to check out. While it doesn't hint at Mewtwo in any way, it does feature our titular character in silhouette form overlooking the city at night, offering up some noir vibes that are at the same time kind of adorable. The poster was initially shared by the movie's Twitter account, along with some fanart. The cast includes Justice Smith (Jurassic World: Fallen Kingdom), Kathryn Newton (Big Little Lies), Ken Watanabe (Godzilla: King of the Monsters), Suki Waterhouse (The Bad Batch), Rita Ora (Fifty Shades Freed) and Bill Nighy (Pirates of the Caribbean: Dead Man's Chest). Ryan Reynolds of Deadpool fame is on board to voice Pikachu. Pokemon was initially launched in 1996 and quickly went on to become worldwide phenomenon, spawning tons of merchandise, more than 20 animated movies, hundreds of TV episodes and more. It's taken a long time to get a live-action project going, but better late than never. Rob Letterman (Goosebumps) is in the director's chair, working from a script by Nicole Perlman (Captain Marvel). Does Mewtwo's potential inclusion mean that his counterpart Mew isn't far behind? Be sure to check out the new poster below. Detective Pikachu is set to hit theaters on May 10. This news was first reported by We Got This Covered.